Head on over to the PokerNewsBoy forums to cast your vote for the best Tournament Player in poker! Here is the list of nominees our crack research staff has chosen for the honor! – The British poker pro had a banner year in 2010, continuing his online dominance, as well as becoming a member of the Brunson 10 at DoylesRoom.com. – The Russian poker star had another terrific year at both the live and online tournament poker tables, not to mention his cash-game success. – Another year; another bracelet for the man considered the best all-around poker player ever! 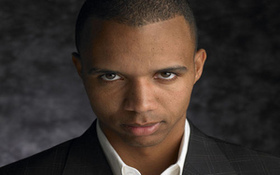 Ivey, a member of Team Full Tilt Poker, continues to dominate poker in every facet of the game that he participates in: Live tournaments, and online and live cash games. – Negreanu seems to be back in form in 2010 making a number of final tables at major tournaments around the globe, while the PokerStars sponsored pro continues to be one of the most popular players in the game. – Mizzi made the transition from online poker to live tournament poker this year and has seen fantastic results thus far. Mizzi is near the top of every major poker publications Player of the Year leader-board. – Selbst took home two major tournaments thus far in 2010 including the Partouche Poker Tour Championship and the PokerStars NAPT Mohegan Sun tournament. The Team PokerStars Pro has won nearly $3 million in tournaments in 2010. – The frontrunner for the 2010 Card Player Magazine Player of the Year award, Marchese has been the most consistent tournament player over the course of 2010 – which is his FIRST year on the poker tour! This entry was posted on Tuesday, December 21st, 2010 at 10:04 am and is filed under Poker News. You can follow any responses to this entry through the RSS 2.0 feed. You can leave a response, or trackback from your own site.